Post Hill Press, 9781642930658, 192pp. Fred Mitchell is an award-winning sportswriter, columnist and author who spent over 41 years with the Chicago Tribune. Mitchell has written 12 books, including biographies with Bears Hall of Famers Gale Sayers and Richard Dent, and Cubs Hall of Famers Billy Williams and Ryne Sandberg. He also wrote “Playing Through” with Earl Woods, the late father of PGA champion Tiger Woods. Mitchell, who has served as an adjunct professor of journalism at Northwestern University, DePaul University and Columbia College, is the only sportswriter in Chicago Tribune history to have been the main beat reporter covering the Bulls, Bears and Cubs during his career. He previously served as a high school English teacher and coach in Ohio for five years and now serves as the community correspondent for the Chicago Blackhawks. 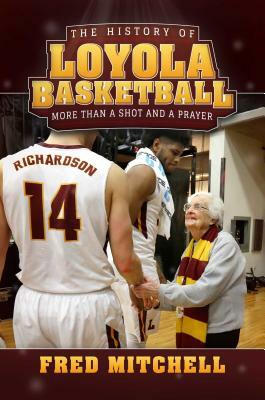 He also covered Loyola men’s basketball in recent years for the Tribune.